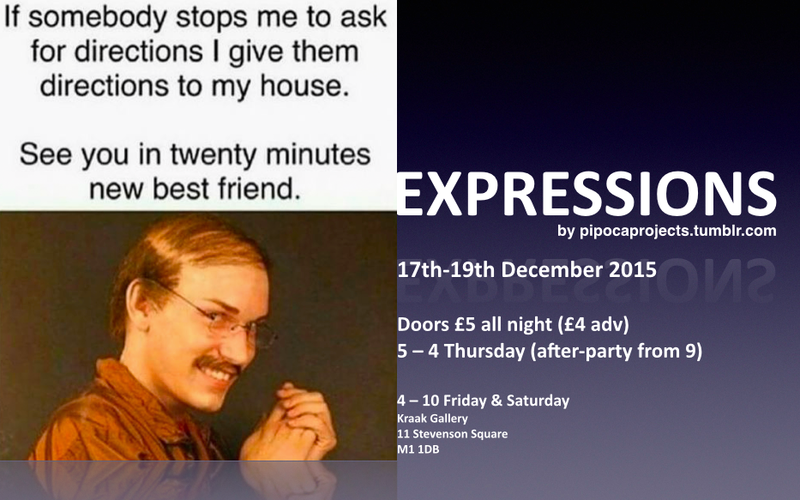 Expressions is an exhibition that wishes to let all sorts of creativity unfold through different outlets. This includes fragments from our lives displayed via poetry, drawings, paintings, photos and different installations that use modern technology. The idea is to share and connect, inspire and motivate; not to inform, but to stimulate and allow whatever creativity that flows inside us all to come out. There are no rules, and we invite our friends to contribute as well. This is our madhouse. Welcome to Expressions. Afterparty: There will be an afterparty on the opening day, 17th December, with drinks and lots music from Dj Eddie Louie blasting from the speakers so we can get rhythmically moving as well.